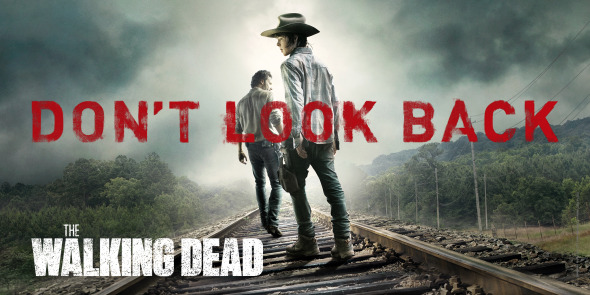 The Walking Dead, Season 4 in one sitting revealed a couple things to me. The writing has gotten worse pulling disingenuous punches for sake of melodrama, and a vacuous thematic narrative that is much too drawn out. The plague that hits the prison definitely showed that even if survivors are protected from zombies, they are still alone and in peril (but we knew that). It also put Glen in a very unfortunate position but with he and Maggie being the only heart/hope of the show the outcome was inevitable. Then, leading up to the mid-season finale, the Governor pops back in only to cause havoc, a seriously unnecessary death, and served only as a glaring plot purpose: to get the characters out of the prison and scattered again. There was nothing organic about that Woodbury rerun. With 16 episodes, there has also been more filler as Episode 9 proved. Rick is incapacitated on the couch and the entire point of the episode is that Carl is not the Grown Up Man he thinks he is – shocker – but does end in a genuine emotional moment. The jumping around in time (hello flashback, my old friend) and the unexplained leaps in logic (“She’s just gone”) are meant to provide mystery but only induce eye-rolling. The highlight of the season came in episode 14: The Grove, in which Carol, Tyreese, and the girls take refuge in pecan farm. It is a very compelling, dark, heartbreaking episode that begs the question: What Would You Do? I haven’t been shocked by a TV show in a while and this struck a profoundly mournful tone. I understand why this was such a controversial episode, but it reinvigorated my belief that this show still has some riveting stories to tell. The rest of the season played the same notes of the all too familiar Woodbury theme (a haven that probably isn’t). Much like Carol discovers shelling pecans, this show is a lot of work to get very little meat, usually in small but satisfying pieces. I wish the phenomenal cast was given more to work with, the thematic structure was tightened, and that the writers found more engaging/less superficial ways to further the story without resorting to Lost-style gimmicks. Yet, the compelling moments make for great TV, but how much longer can viewers be drawn to the aimless destination if the voyage is never fully satisfying?